Replies: 52 (Who? ), Viewed: 10411 times. #1 17th Dec 2014 at 9:04 PM Last edited by mixa97sr : 12th Jan 2015 at 11:18 AM. 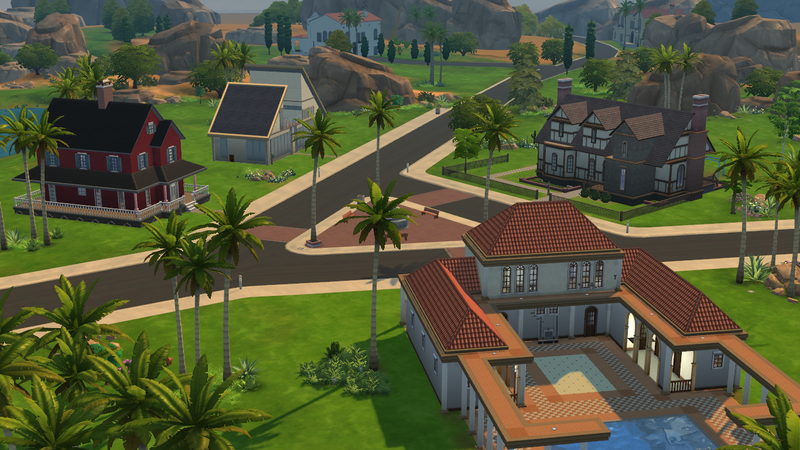 I will take any build request regarding rebuilding of both Residential and Community lots from Sims 2 in the Sims 4. Lately I've been working on "Helluva Hacienda" and "Family Farmhouse". I quite liked both the time spent building and the outcome, as TS4 is very similar to TS2 yet much simpler. So I decided to do requests on the Rebuilds. I'll do one (or eventually two) lot per day. I will post them on galery under : "Mixa97sr" (don't forget to capitalize). If you want a lot here on MTS, I will gladly upload it. Just tell me. Personally, when it comes to architecture, I think it's best to take advantage of the capabilities of the new build engine without sacrificing the overall style of the lot. For example, you put the columns directly on the ground. You would have been much better off put them directly on the railing. That was a limitation of the Sims 2 engine (at the time). I can see you playing with other other architectural elements and it does add to the overall style of the building with the extra added details - those are very much appreciated, but the columns on the floors were chewing away me a little. #3 17th Dec 2014 at 9:29 PM Last edited by mixa97sr : 17th Dec 2014 at 9:46 PM. I wanted to preserve the original look of the lot. And btw, It looks worse when I snap those columns to the fences. I jiust can't believe how TS4 is fast!!! But seriously, I must have Family Farmhouse back in my life! It's going to be done today. Do you want it in it's original Sims 2 state or fully furnished? 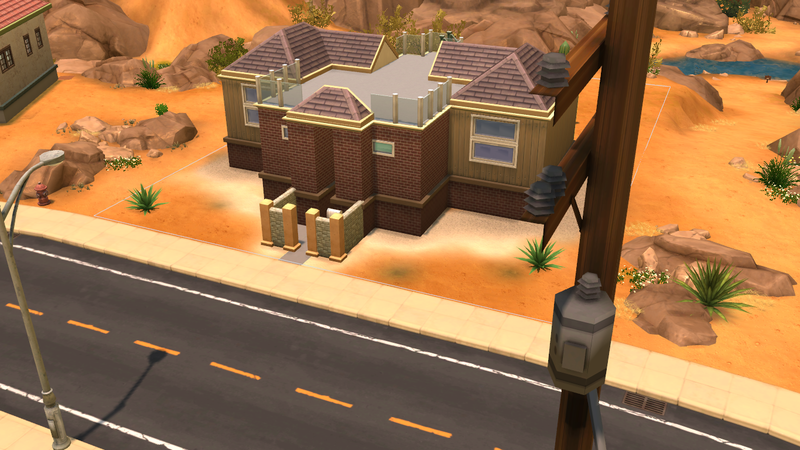 Unfurnished would be fine though if you put it furnished when you place the house you can choose furnished or unfurnished. I'll probably just end up changing all the furniture anyways though so whichever you want to do! I updated original post with list of lot rebuilds so you can know my progress on the lots. I will add more once there are new requests. Family Farmhouse, oh YES! It was always my favourite! And I love the Hacienda as well! The Modern Masterpice had a bug in my game, because it was raining inside. It was older than "Seasons". Yeah, I'll add it to the list. PS: That lot was my favourite from TS2 base game. Oh my, you're really good! I love them. 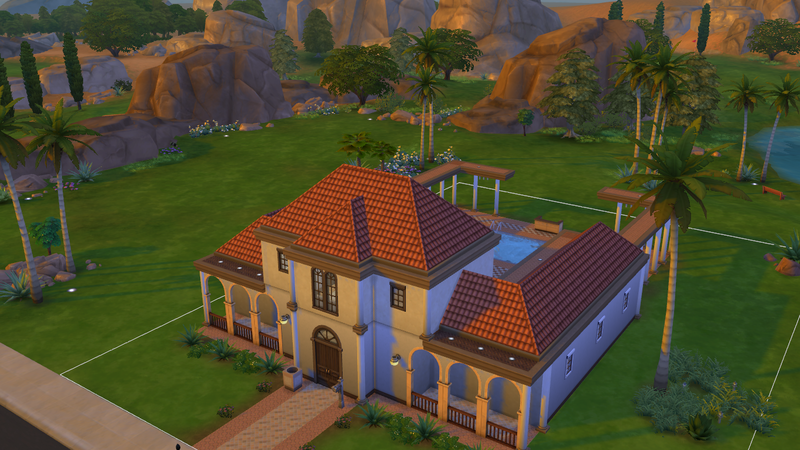 I just wanted to let you know that Family Farmhouse is finished and is up on gallery. Yay! Thank you again! I'm going to download it and fill it up as soon as I finish my cc downloading spree and then I will totally share pictures! This is actually such a clever idea. I just wanted to say that <3 It's a great challenge for you, and a great thing for die-hard TS2 fans. It's been too long since I played so I'm not like "OOOH!" over any of these lots anymore, but I'm so happy to see this work! 73 Road to Nowhere is done and on Gallery. Modern Masterpiece is now finished! Up onto the 215 Sim Lane! Hey, just a question: would you mind uploading these lots here too? Idk how much time would I need and would these be accepted. It's much easier via Gallery both for me and for you. Once I finish , I'll try to upload them on Mediafire, 4shared or Megaupload. I'll post the links here, next to the lots name. Ofcourse. I'll add it to the list.